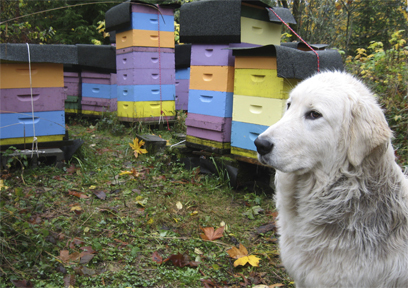 More than half of my hives are in bee yards where bears are known to roam. 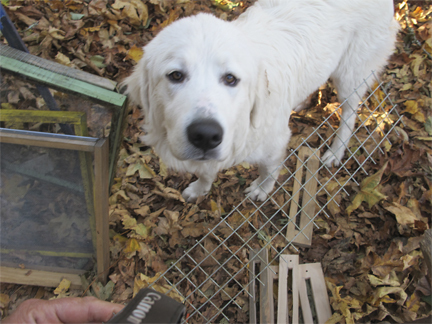 These yards have either solar/electric bear fences, Livestock Guard Dogs, or very large dogs who live on the property (the latter two are different things, but the very large dogs seem to be working fine with hives in out-lying bee yards). Even though bears are all around us here, bears are not really a huge problem for me. The wildlife that stalks my hives is more pervasive, greater in number, and very, very persistent: mice. I admit it: they are cute; they are native, but I hate them. 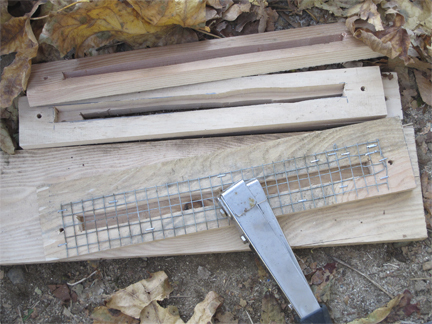 When a mouse, or usually two, sets up home in a nice warm hive in the winter the hive will be dead by spring. The bees just cannot take being the commode for the furry intruders. 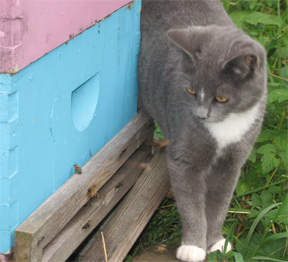 My farm cats patrol my hives, but not every bee yard has six resident cats. And even my mammalian mouse guards can’t be on patrol all the time. The answer is year-round, wood-and-wire mouse guards. Or that would be the answer if I ever got around to making enough mouse guards. I always seem to be playing catch-up in the construction of these. 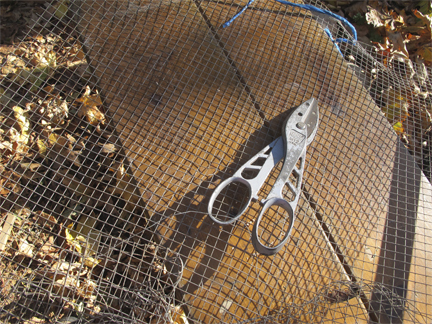 For this reason, late October found me scrambling to make more mouse guards to put on a number of the hives. 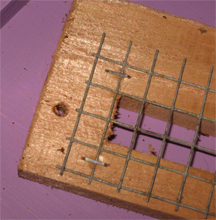 My mouse guards are wood and ½ inch hardware cloth (square wire mesh). The openings are the entire width of the hive entrance. They vary in height, but are always tall enough to cover the space between bottom screen and the first box. The ½ inch openings are somewhat reduced in height because I place the centerline of the mesh across the center of the mouse guard opening. I have never had a mouse make it though this opening. 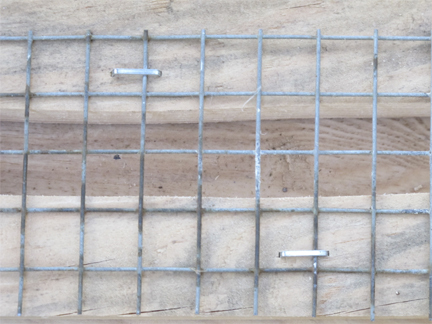 The mouse guards are held in place by two hanger bolts screwed into either side of the hive entrance. 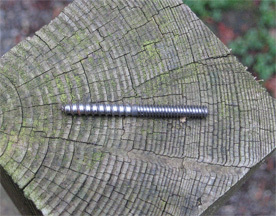 Each mouse guard has a hole in on each side, which slide over these bolts. No mouse has ever been able to pull one of these off the front of a hive. But the mouse guards can be removed during spring-cleaning, then easily replaced. I am lucky to be married to a fellow who makes furniture . 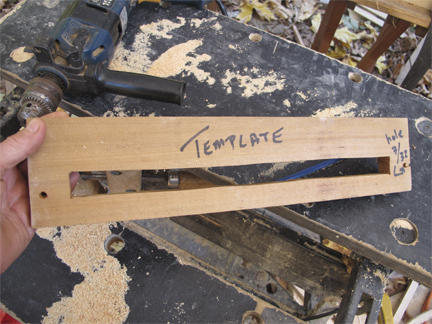 This means we have an ample supply of off-cuts of wood that can be cut down to make the frame. The ½ inch hardware cloth was a fortuitous coincidence. Brookfield Farm was once a fiber farm (Shetland and Jacob sheep, cashmere goats). I used to have a ½ inch-skirting table for the wool. When I was experimenting with different typed of mouse guards years ago, I looked at the disused skirting table and thought: hey I’ll use that up. It has worked well. Then my husband produces the wooden ware. The wire is then stapled to the woodenware with a tool designed to staple house wrap to buildings. Once finished, they are mounted on the hives. The rest of the fall chores are just about done. The feeders are being pulled off the hives this week to be replaced by a piece of insulation. The rain hats will be tied down. Future blog topics, eh? 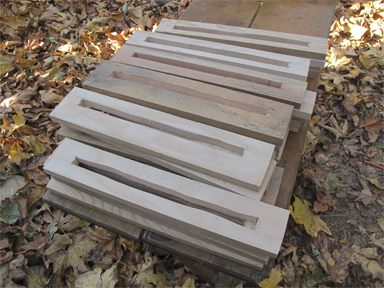 Then the long winter of trying to make wooden ware for the bees begins – this time mouse guards will move further up the list. That’s the news from Brookfield Farm Bees And Honey, in Maple Falls, Washington. 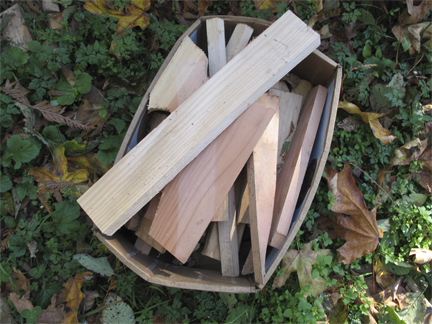 How did your fall, or spring, preparations fare? And what is your solution to dealing with those ever so cute, but horrid, mice? This entry was posted in 1 Beekeeping, 4 Hive Components and tagged bees, Brookfield Farm, hives, how to, make, Maple Falls, mice, mouse, mouse guard, Washington. Bookmark the permalink. why do you make such a big entrance for the bees ( my first year bee keeping)? or you willl make it smaller when the cold comes? The width of the entrance is pretty standard in langstroth hives. Most folks do reduce the entrance in the winter. I do not. I do keep the mouse guards on year round – they don’t bother the bees and mice are a real pain all year here. The only times I narrow the entrance is when the wasps are an issue or on new hives that are not up to full strength and can be robbed. To do that with the mouse guards, I take two pieces of 1/8 inch hardware cloth fold them in half and jam them in the front of the mouse guard on each side, leaving about an inch or 2 free space (easier to guard). My hives do not have solid bottoms, they are all over 1/8th inch hardware cloth (wire screen) screen bases (my that did repeat didn’t it?). I believe in ventilation and drainage (it’s really wet here)…remember, cold doesn’t kill a strong hive, but wet will kill any hive. Hope that answers your question. Do you have to enlarge the opening between the bottom of the box and the floor to install the mouse guards? 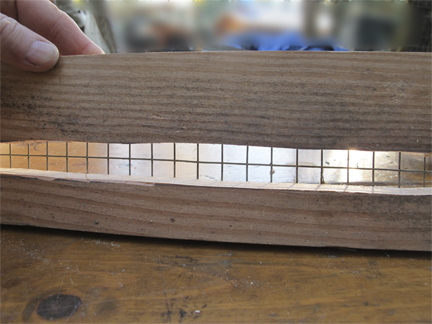 My hive openings are the width of the box and 1/2″ in height. have given thought to installing the hardware cloth the width of the hive, however, I do like your idea which would be easier to remove and replace. OK thanks so much for your input, will continue on with the’ mouse proofing’. How do you water bees in cold winter in say, Montana. We use the mason jar waterer, it will freeze. What system is best for winter or do they need watering in winter? They don’t need water in the winter in our cold climates. They actually produce water as they try to stay worm (moving their flight muscles), and, around here, a bit water gets in the hive no matter what you do. 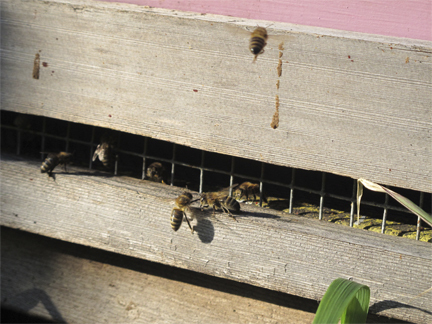 In our area it’s best not to introduce water or even syrup into a winter hive. The bees can’t dry it, it will freeze, and here it seems to increase the risk of nosema.